DJ Keith “DJ KO” has been pleasing crowds across Michigan for over 10 years. Exceptional sound quality, music knowledge, & showmanship is something Keith can guarantee at his shows. Whether it’s a wedding, school dance, nightclub, or any other type of function, Keith is more than capable for the job. His years of experience with wedding receptions means less worrying for the bride & groom. He will work with your wedding planner, photographer, caterer, etc. to ensure the best coordination for the night’s festivities. Keith has played at many numerous night clubs, bars, & restaurants as well. He knows how to keep a dance floor full while maintaining good crowd control. His song selection & transition abilities are second to none & make the party to go on all night! When you Book Keith, you will not be disappointed! Ryan and Alexia | September 6, 2014 from Drew Mason on Vimeo. Keith is a very professional and easy to work with DJ; he was on time, fun, and would listen to requests from the students. Our age group (18-22) loved him lots! I would recommend him for any college event! Our wedding reception was above and beyond what we expected. Keith, or DJ, did an amazing job. He played exactly the music that we requested and the style that we were going for. He had the dance floor packed all night! He was awesome about keeping us on schedule with toasts, cake cutting, and first dances. He did an awesome job and I highly recommend him! Bonnie and Kevin were our photo booth attendants, and they also did such a great job! They had the largest selection of props for a photo booth that I’ve ever seen, and everyone had so much fun with it! I love that they give you a book with all of the photos as well as a USB drive with copies as well. Overall so glad I went with Rusch Entertainment and we were very happy and impressed! Everything was simply amazing! Josh and I had the best time! We were so impressed with Keith as our DJ!! Everyone agreed that the music selection was varied enough to keep everyone interested but still what we asked to hear. Thanks so much for everything!! Kasey and Josh 10-28-17 The Great Hall with about 150 Guests! DJ Keith was AMAZING! He kept the party going the entire night and the dance floor was never went empty! We loved his compassion for what he does and how sincere and “go with the flow” he was. 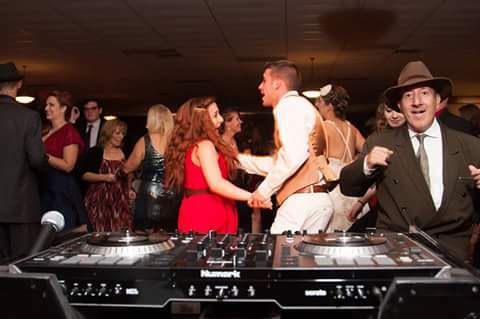 We would definitely recommend you and Keith to anyone looking for a DJ for an event. Thank you so much from the bottom of my heart! About 250 Guests at the Genesys Conference & Banquet Center! Hello, I am the new student council president. I am looking to reserve a date for our Homecoming dance next school year on October 7th. 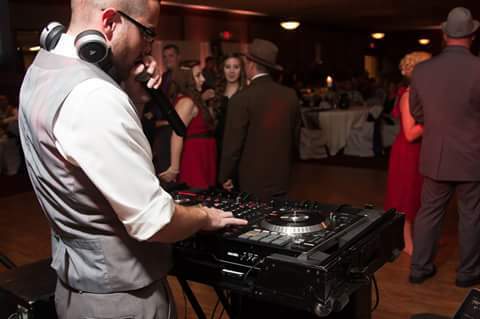 We liked the DJ we had for our winter formal dance this year in February. Please let me know if we can reserve this date with DJ Keith, thank you! 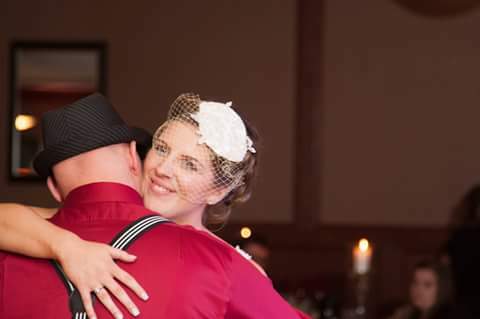 I am still getting compliments on my wedding, almost six months later. I attribute much of that to my DJ, Keith. It was like he just knew what the crowd wanted to hear while mixing in my must-haves throughout the night. 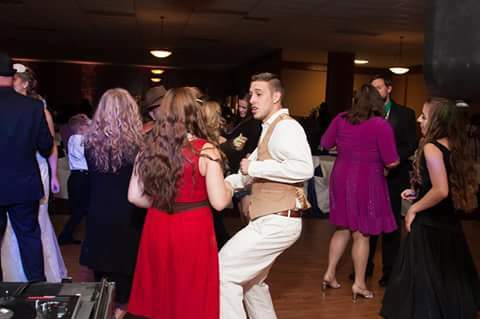 There was always someone on the dance floor, most of the time it was a little crowded! 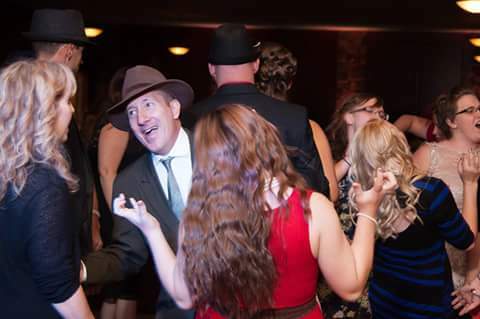 I had a blast dancing the night away and I know my guests did too. Definitely would recommend him to anyone looking for a DJ. Was set up, waiting for us to arrive to the reception, went through everything with me a few days before. Rusch has a questionnaire that you fill out ahead of time that really gives you time to think through all of the music you want at your reception and what you definitely don’t want and can suggest music for different points at your reception. That was very helpful to us. I was super impressed and very happy with Keith. Thank you so much for making it a night to remember. Kelly and Erick B. – St. Demetrios Greek Orthodox Hellenic Ct. 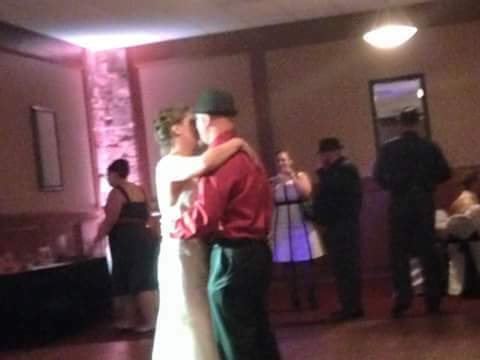 Thank you so much for being our wedding DJ you did an absolutley fantastic jon. we greatly appreciate all the time you spent reading my emails and creating the perfect playlist for our special day. thank you for catering to our needs and playing all the same songs that are most important to us.. you truly went above and beyond to make us happy and keep everyone on the dance floor. Thanks Again! 1) He made sure to correctly pronounce the names of all members of the bridal party. 2) Keith honored our wishes and helped create the atmosphere we desired at all points in the reception. He read the party well and maintained a great flow through the reception’s schedule. 3) He played music to satisfy all age groups. The dancing was lively all night long, and Keith stayed until the very end of the party. 4) When the time came for key events (toasts, cake cutting, first dances), Keith was prompt in finding the Bride and Groom and making sure the reception stayed on schedule. 5) He cut out things we ended up not having time for, such as the dollar dance, while maintaining the essential pieces of the reception. 6) Keith worked well with the venue’s staff. Keith was a superlative DJ, and we were very grateful to have hired him. We would not have wanted him to do anything differently! Thank You so much for being the perfect DJ at my sons and daughter-in-laws wedding, June 4 @ LFA Hall. 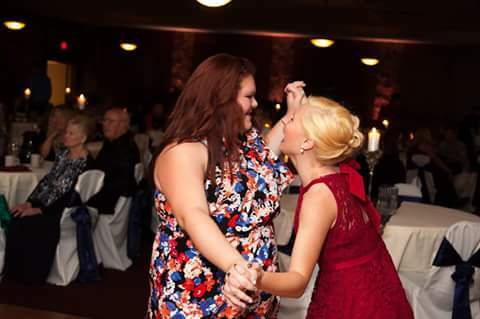 You had the guests dancing longer than any wedding I can remember in recent years. You were not a show hog; but blended into the background and let your work, professionalism, and music do the talking. The volume was perfect, not to loud-just right! Great Job! Keith was so Amazing! I already have a new bride asking about him. We got tons of great compliments about his music choices. Plus on a serious note he was a cutie but keep it very professional. He was even willing to dance with our hostess for the bridal dance but she had to leave. He came outside right when we got there & greeted us. We had such a blast & unforgetting moments. 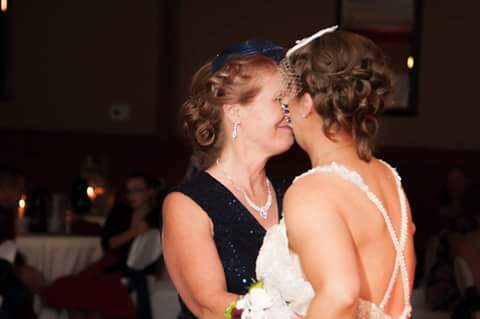 We will always remember our wedding night. Thank you from the bottom of our hearts!! Here are some pictures to prove how much fun we all had. Please show these to Keith!! Keith, We would like to thank you for helping make our wedding special. The music was great and we had fun dancing! We appreciate your efforts! Awesome job! DJ Keith kept the dance floor rocking all night. Highly recommended DJ. We received so many compliments on the taste of music. Everything was great!!! Keith was perfect and the photo booth was a hit and enjoyed by many! Thank you so much!! Hello! I am a Banquet Manager and Event Coordinator for a Golf Club in Michigan. 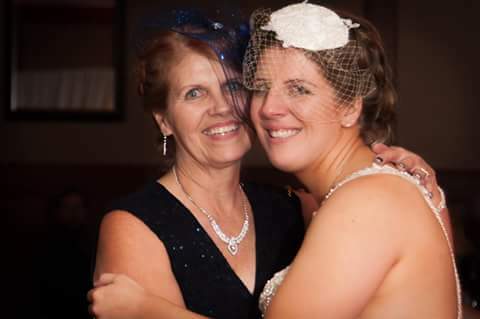 Rusch Entertainment has worked many events at the club and I knew that my husband and I HAD to have them for our wedding this past October (2014). Rusch Entertainment made the booking process and organizing so easy with their online format for music selection and it helped us to not forget anything such as bouquet toss, garter toss, etc. DJ Keith Ortiz was AMAZING! Absolutely the best of the best. I have seen many DJs and worked with many in my line of work and was thrilled with Keith, and Dean Rusch for his suggestion to hire Keith. Same DJ as last year. He did a good job! It was a success!